One pound of tomato seeds will produce about 140,000 tomato plants. The key ingredient in 78% of Americans favorite recipes is tomatoes. According to the USDA, 105,700 acres of Tomatoes were harvested for the fresh market in 2009. An additional 327,800 acres were harvested for processing (canning, freezing, etc.). Florida and California accounted for 70% of the U.S. fresh tomato production. California accounted for 95% of processed tomato production. California accounted for 95% of processed tomato production in 2006. Florida and California combined accounted for 68% of total U.S. tomato production in the same year. China is the largest producer of tomatoes in the world, producing over 16% of all tomatoes. Supposedly Ronald Reagan didn't eat a tomato for 70 years. His dislike of tomatoes sprang from a childhood prank. He had been given what he thought was an apple, but when he took a bite realized it was a tomato. The smallest species of tomatoes are less than three-quarters of an inch in diameter. There are both red and yellow varieties. The highest concentration of vitamin C in tomatoes is in the jelly-like substance around the seeds. Pace Foods (picante sauce & salsas) uses about 35 million pounds of fresh tomatoes every year.Tomato juice is the official state beverage of Ohio. 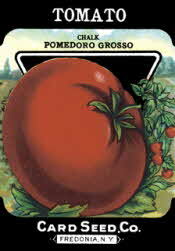 • The Tomato was named the Official Fruit of Ohio in 2009. 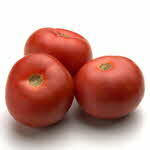 • The Tomato (Lycopersicon lycopersicum) was designated as the Official Fruit of Tennessee in 2003. • In 2003, Louisiana designated the Creole Tomato as the official State Vegetable Plant. • The tomato is also the official state Vegetable of New Jersey. • The South Arkansas vine ripe pink tomato is Arkansas' official state Fruit and also the official state Vegetable.